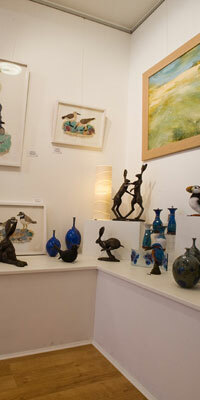 Welcome to Artroom Gallery - a contemporary art and craft gallery specialising in local and UK art and craft. 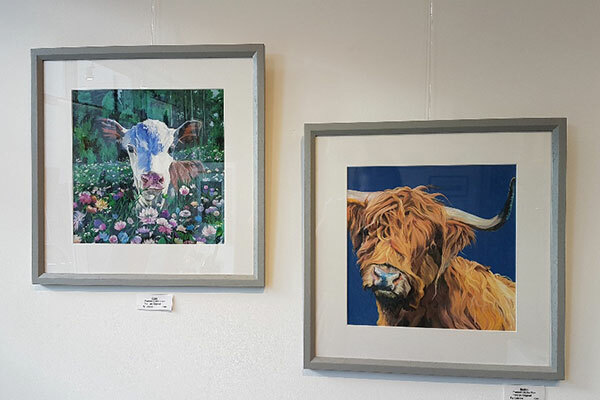 Situated in the picturesque market town of Garstang, Lancashire, nestling below the Bowland Fells, this charming gallery specialises in original art and craft. Living in Garstang we love the countryside. This exhibition showcases the work of two of our local landscape painters - Jill Colquhoun and Terry Hird. Artist Jill Colquhoun from Yealand Conyers near Carnforth is adept in using different media to depict the landscape around her. She has delevoped a novel techinique combining batik methods with acrylic paint to create stunning meadows full of sunny buttercups with astonishing depth and detail. In contrast her seascapes of the iconic Morecambe bay are watercolours. We are delighted to be showing a collection of paintings by Terry Hird again who comes from Burton in Lonsdale. Being close to the three peaks - one or more, particularly Ingleborough feature in his landscapes. He has a graphic style suited to depicting patterns and form in the landscape, particulary rocky terrain & features. Simone Noble is a ceramics maker from the north east who has created sheep and highland cows in various ways- singles, pairs, in walled circles, peering over gates. Xuella Arnold makes interesting and pretty pieces of jewellery featuring hares, birds, deer and flowers. Artroom Gallery was established in September 2007 with the aim of highlighting talented UK artists and designer-makers, giving the public the opportunity to purchase special, unique, hand - crafted artworks. Lancashire and northern artists feature prominently, many of whom are members of Lancashire Makers, some from Garstang. Artwork is carefully selected by owner Helen Carr with the emphasis on beauty, quality, and originality. 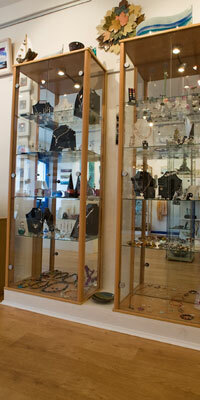 The Artroom Gallery streams with light making it an ideal space for viewing art and craft. Helen has a degree in art history and will offer advice and knowledge about the artwork offering help with selection, sourcing and hanging of pieces. The gallery presents a range of affordable, unique hand-crafted artworks including paintings, prints, ceramics, glassware, and designer crafted, jewellery, textiles and items made of wood. Exhibitions are held seasonally to showcase the work of particular artists and designer-makers.